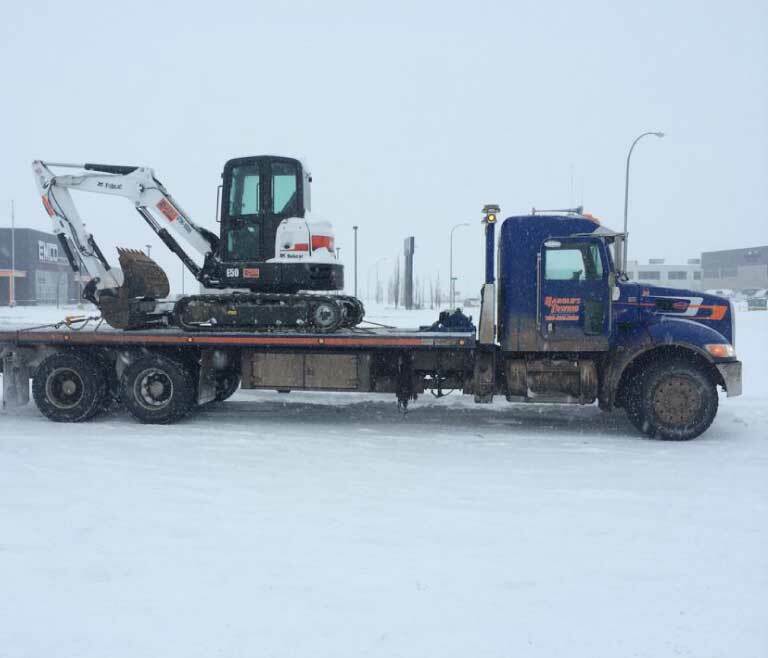 Sometimes a 1-ton wrecker is all you need, and other times it’s time to haul out the big guns. All of our equipment, big or small, is cared for on the daily by our own in-house mechanics. It’s vital that our customers can trust our equipment when their own fails. 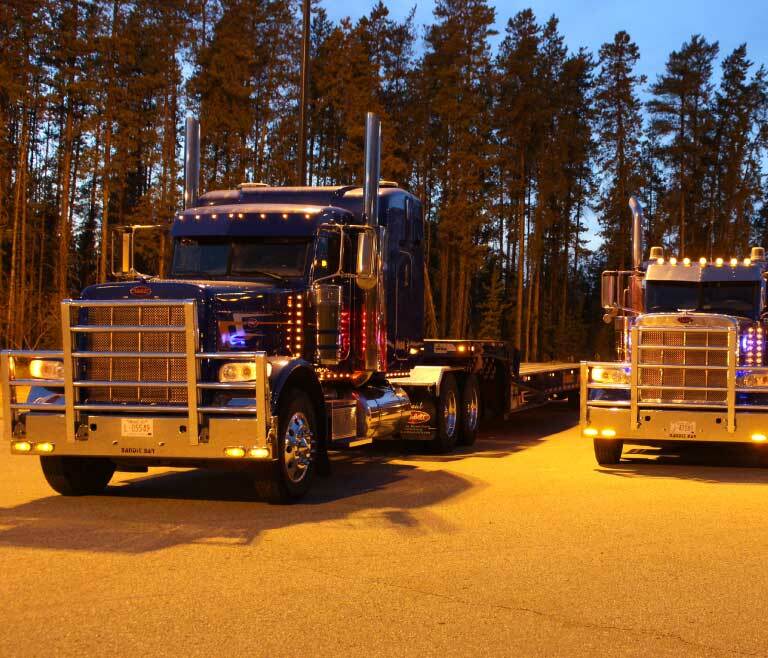 All of our equipment is maintained daily by our own in-house mechanics, and our team of operators are all well-versed in taking exceptional care of all equipment, regardless of who owns it. Our equipment is ready. Call us today! 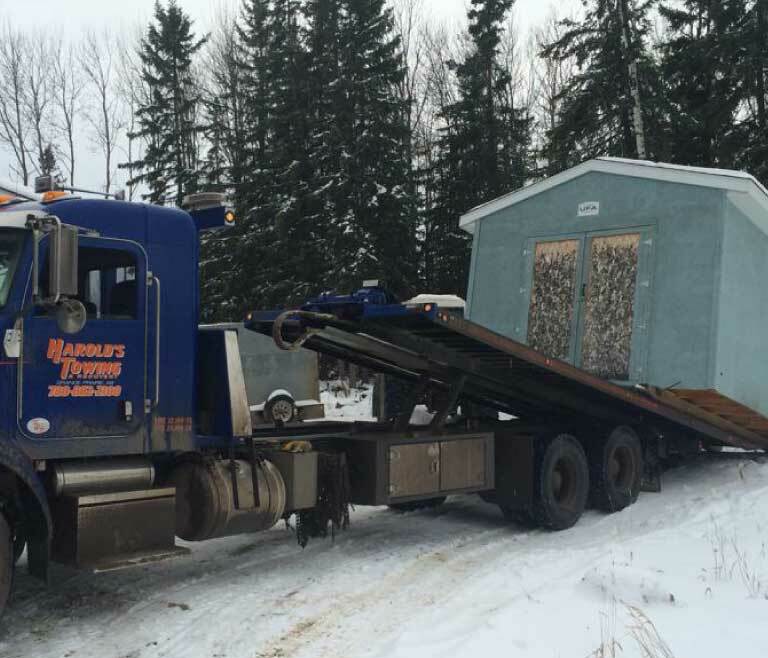 When you think of a tow truck, you’re probably picturing a 1-ton wrecker. 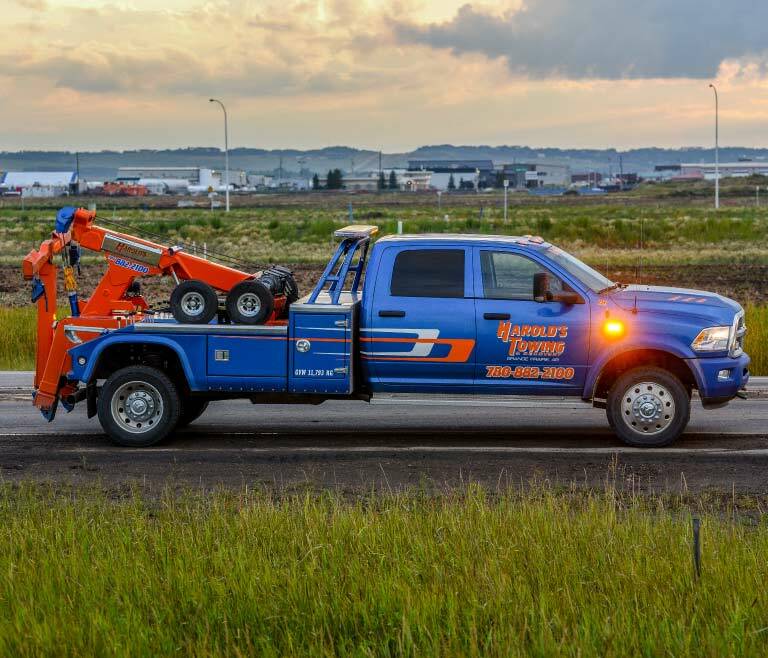 Our 1-ton wreckers are light duty units perfect for general towing, recovery and roadside assistance. Highway drivers in commuter cars, minivans, and even 1-ton pickup trucks can rely on our meticulously maintained equipment for their roadside needs! For the equipment that has low clearance, our ​low angle tilt deck trucks and tilt deck trailers​ are perfect for the job. 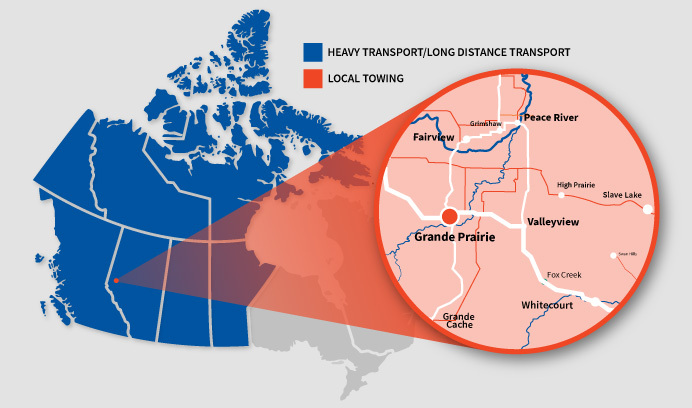 We are here to ensure your vehicles and equipment get from point A to point B safely and damage-free. 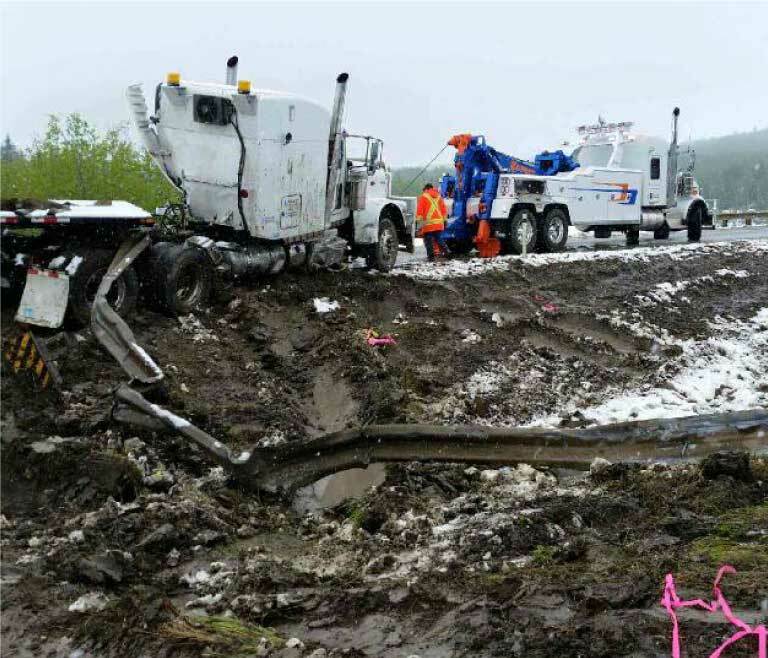 The 50-ton wrecker is the big brother to the 1-ton wrecker. With a higher towing capacity, the 50-ton wrecker is well-suited for commercial vehicle towing and recovery. This heavy-duty specialist is primarily responsible for heavy duty loads including equipment, large sea-cans and beyond. The tractor trailer is similar to a deck truck, but instead of a single unit, the tractor trailer is a semi truck hitched to a large trailer.